Building Residential Areas in Coney Island – Perhaps a bad idea? Coney island is a small island, spanning approximately 2km. It used to be much smaller, but land reclamation efforts beginning from 1975 had expanded the land area by almost 5-fold, to its’ current size (source). The natural state of the island was barely disturbed, in hopes of retaining the rustic feel of the island. Renovations to construct toilets and other amenities were done so with minimal disturbance and utilised environmentally friendly features such as toilets that flush with rainwater, solar-powered water pumps, and also recycled timber to construct bridges and benches. It was opened up to the general public in 2015. It was home to a large number of animals, birds, and plant species. Even the 2 native surviving species of Cycads which have lost their ‘homes’ in urban Singapore was relocated to Coney Island (source). Even when visitors complained of the sandfly infestation, NParks refused to intervene, mentioning that it was intentional that they left the place as ‘natural’ as it was (source). I personally feel that Coney Island is a place that they should refrain from unnecessary development, but still allow visitors to enter the island. Basic amenities such as bins, shelters, and toilets should continue to be maintained to allow visitors to have enjoyable visits, but I do not agree with allotment of land to build residential estates. There haven’t been any studies done on the arthropods of Coney Island, neither can I provide the most reliable information. However, I am a frequent visitor of the island, with weekly visits last year and monthly visits this year. As I am armed with my camera with each visit, I pay close attention to the arthropod diversity on the island, and walk the same paths during each visit, approximately at the same time of the day for each visit. Hence, I do keep a record of the arthropod diversity through photographs (to the best of my ability) and through observations. 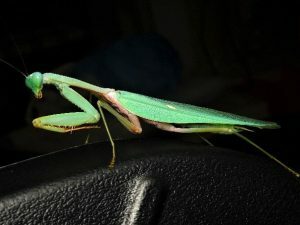 As a disclaimer, I mainly focus on mantid diversity, but do make other observations too. 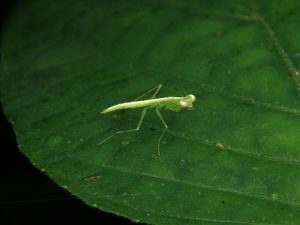 As there have been absolutely no published study on local mantids, I can only rely on my own experiences and observations in Singapore, amounting to more than 5 years, to make statements and claims. Ever since construction of residential estates began in early 2018 according to the land use plan (source), I have observed major changes in Coney Island. For the mantids, Odontomantis sp. 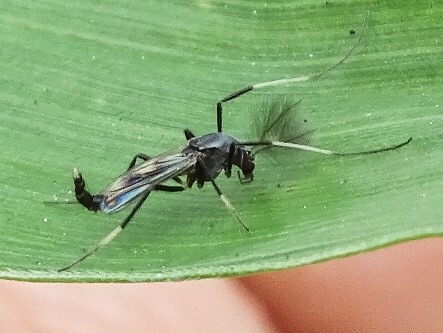 and Tenodera sp. used to be the only two mantid species observed before construction began. 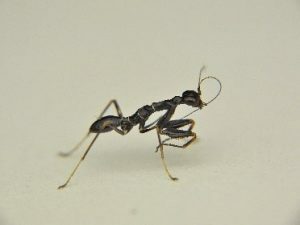 Tenodera sp. 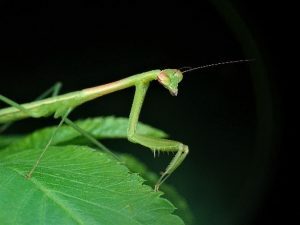 is a large mantis species that grows to approximately 8cm, tends to only thrive in forested areas as they tend to be fairly clumsy and rely largely on camouflage (they like to pretend they’re a stick) rather than run from predators/humans. Hence, I would classify them as urban avoiders/urbanophobes. After construction began, I started to find many new additions to the biodiversity in Coney Island. Tropidomantis tenera is another small sized mantis found all over urban Singapore, seemingly with a preference for small bushes around buildings. I often see them lay eggs on places like windows, railings, and even bicycles. They are extremely good runners, and flee very effectively from humans and predators. 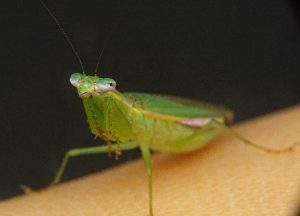 Hierodula sp. 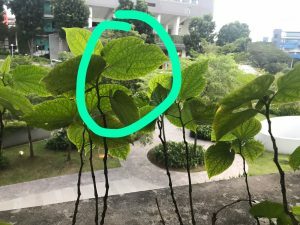 are large mantids, most probably one of the largest we can find in Singapore. Although fairly rare, they tend to be found in all habitats, ranging from nature parks to urban parks, and often wander into urban areas. Ladybugs of the tribe Epilachnini are vegetarian ladybugs that are considered as pests due to their voracious appetites of plants such as tomato plants, have suddenly made an appearance on the island. 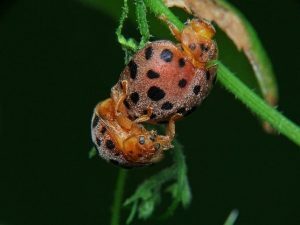 These ladybugs are urban pests, and the sudden infiltration of these ladybugs are probably also an indicator of irreversible disturbance to the island. The presence of T. tenera and Hierodula sp. indicates that the construction has definitely caused a significant amount of disturbance, allowing these new species to live on the island. The island is connected to mainland Singapore by an approximately 100m path of impervious surface, without any shrubs or trees, functioning as a huge barrier for any species to enter or leave the island. Hence, these new species could have migrated over to the island with all the materials brought in to the island, or perhaps on the vehicles. 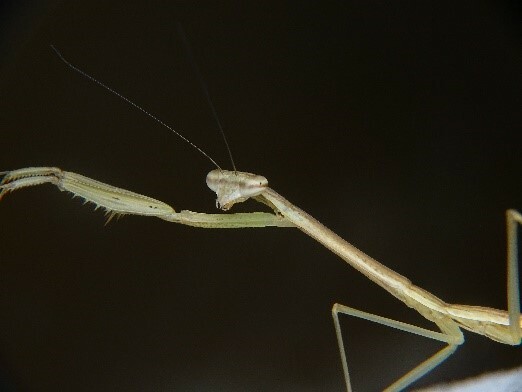 Flight is possible for Hierodula sp., due to their larger size. However, for T. tenera, they are much smaller and are incapable of long distance flight, and are thus unable to overcome spatial barriers themselves. Despite seeing no visible impacts of the ladybugs in Coney Island (impact on vegetation not obvious), it could be due to the small population of the ladybugs for the time being. 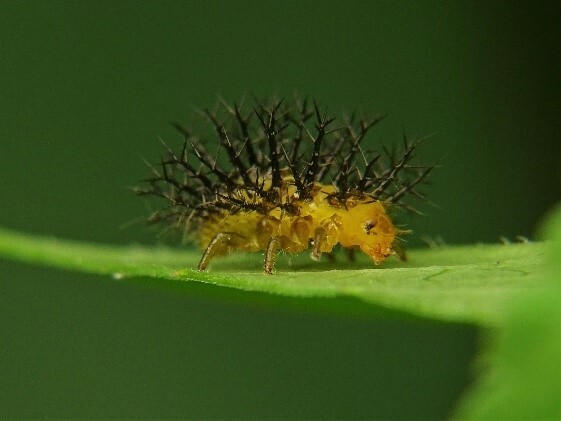 As these ladybugs lay their eggs on the underside of leaves, these leaves could have been brought into Coney Island when transporting materials required for the construction. Moreover, the chironomids seem to have disappeared from the island, which worries me as the other mantids would have lost a very important food source. Although Dolichopodids (another possible food source) do not seem to have decreased in population size, these flies are too large for early instars of the smaller and less aggressive mantids. The newly observed species on the island seems to be generalists, and rapid loss of current diversity is a reality that I cannot help but fear. Due to significant reduction in chironomid population, competition for food between the mantids might increase, potentially favouring Hierodula sp., which is the most aggressive and largest mantid I have found in Coney Island now. 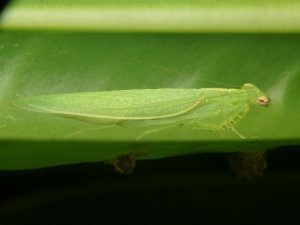 Winged and generalist arthropods (Hierodula sp.) tend to be the winners in such instances, along with pests (vegetarian ladybugs). 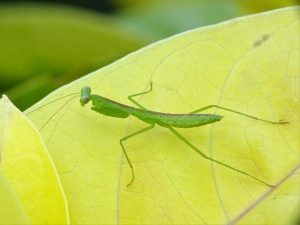 In addition, praying mantids tend to avoid predating on ladybugs, perhaps due to their elytra that makes it hard to grip, allowing the population of ladybugs to potentially grow rapidly. Just in the beginning of the construction of residential areas in this pristine island has already transformed the habitat, leading to changes in habitat biodiversity due to excessive disturbance and urbanisation, facilitating urban exploiters to enter the island and compete for resources. Biodiversity loss will probably inevitable as a result of urbanisation. As much as I hope that the plans to build residential estates will be put to an end, construction will still go on. All I can do is watch half of this beautiful island get cut down and replaced with concrete, and continue to document and appreciate the changing biodiversity of this island that I have so much feelings for.